My Favorite Things | Cyndie Cornelius | 865-441-0045 | Great Smoky Mountain TN Real Estate for Sale,Search For Homes and Land For Sale in Sevierville, Pigeon Forge, Gatlinburg , Wears Valley and Townsend. WHY THE SMOKIES? "Your Mountain Real Estate Professionals"
Appalachian Bear Rescue (ABR) is a one-of-a-kind black bear rehabilitation facility. Located in Townsend, just outside of Great Smoky Mountains National Park, ABR is a nonprofit, tax-exempt organization that has been returning black bears back to the wild since 1996. 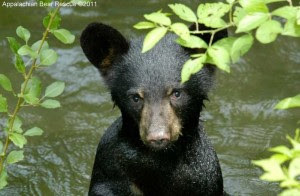 Each year, black bears from our national parks and surrounding areas are orphaned, injured or in need of medical care. Thanks to Appalachian Bear Rescue, these bears are given a second chance. Townsend was the site of the sawmill, and headquarters of Little River Lumber Company and Little River Railroad Company which, from 1901 until 1939, built over 150 miles of railroad in the Smokies and logged huge portions of what is now Great Smoky Mountains National Park. Col. Townsend, for whom the town is named, was a principal in both companies, and was their on-site superintendent. 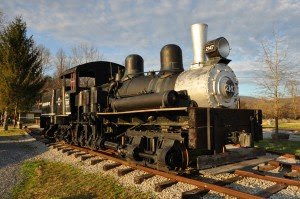 Little River Railroad and Lumber Company is a non-profit corporation which operates a museum to preserve the heritage of these companies by collecting, preserving and displaying artifacts which tell the histories of these companies and the people of this region. How could we not include our bluegrass band, Special Delivery, in my favorites? We have had so much fun and have met so many wonderful people playing all over east Tennessee. We play mostly private events and have been fortunate to appear at Blackberry Farm, Tremont Homecoming and The Lily Barn, just to name a few places. 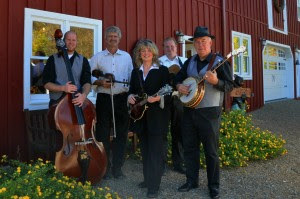 Most of the band’s material comes from the more modern bluegrass; but a good bit also comes from early rock and roll, old country and eclectic sources. With Cyndie singing lead and playing rhythm guitar, Warren on banjo and harmonies, we are joined by Kevin, the fastest learning bass player ever, Mike, a fiddling wild man and veteran of Del McCoury’s and Paul Williams’ bands, and Jeff, a superb guitar picker, tenor singer and veteran of Rhonda Vincent’s band, The Rage. Fortunately for us, but unfortunately for our musical careers, our real estate business has grown much faster than we ever anticipated. Our time for fun stuff has dwindled to nearly nothing. But we’re working on how to balance all of this, and we’ll get back to the music soon. It’s how we met, and it is still an important part of our lives. Our live CD was produced a few years ago and was a ton of fun to make.